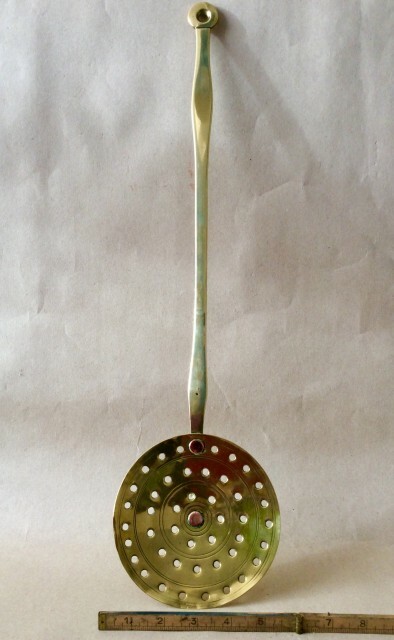 Antique Early Victorian brass skimmer. 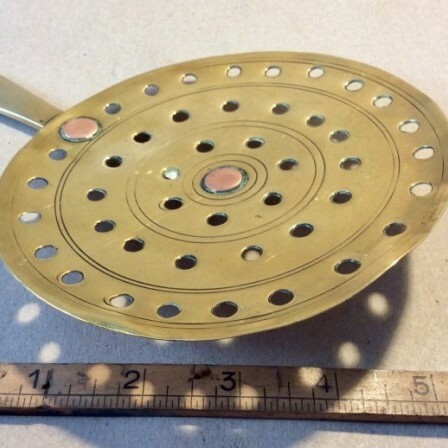 Description: Well made brass skimmer. 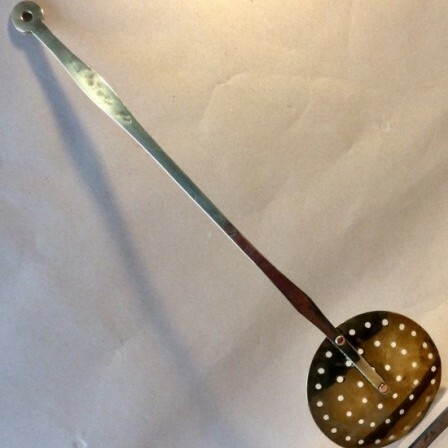 The long shaped handle with heavy duty hanging hole at top. The handle attached with two copper rivets. The 5 3/4inch diameter sheet brass skimmer evenly pierced with double rings engraved between the holes. No damage or repairs. Dimensions: Length 56.5cm Diam of skimmer 14.3cm.